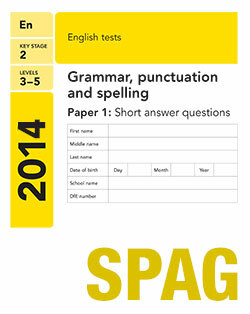 It is bad enough that children are now tested at the age of 11 on SPAG, the derogatory term used by teachers and examiners for assessment of children’s capabilities in spelling, punctuation and grammar. Any English teacher knows that a student’s attainment in these ‘skills’ (a term that requires unpacking in this context) is better tested through meaningful writing exercises rather than through decontextualised tests. Do read the rest of Debra’s post, which describes graphically how this policy will further degrade the quality of experience for pupils and teachers. What strikes me most is the ineptness of the assumption that an average attainment should become an expected attainment. This reminds me of one of the first signs of political interference in the curriculum, when GCSE was introduced in 1988. It was announced that grade F (the former CSE grade 4) would be the expected average attainment for GCSE candidates. Only in Britain, I thought, would government mark the attainment of the ‘average’ child with a grade F. Of course, expectations rapidly changed and a grade C is now regarded as a ‘pass’ for all candidates. These attempts to constantly pressure children and their teachers on attainment (especially when the skills are poorly defined and the validity of the tests is highly questionable) need to be reviewed by an independent, non-governmental professional body. Unfortunately, there is at present no such body to act as a forum for discussion between the teaching profession and the Secretary of State for Education. The new Southmead hospital is an airport. And walk through a vast atrium to the designated gate. ‘Oh, sorry, that clinic’s not running today. We shouldn’t have made that appointment. I think they need better ground control. I have reblogged Debra Kidd’s latest post because it gives a very clear and felt account of the reality of ‘accountability’ in present-day school education in the UK. I’ve just spent an evening with one of my oldest friends who has just resigned from her NQT year in an inner city primary school. I encouraged her to go into teaching and now I wonder what kind of friend I was. Last year, having spent 17 years working in private business, managing teams of people and multi million pound budgets, she left to teach. She expected that she would find a working life that was more rewarding with higher aims than simply making money, which she was good at. Having seen her own children turned around with the support of a good teacher, she felt that here was a job where she could have impact and feel that there was a higher sense of purpose to her working life. And so, she took a massive drop in salary and enrolled on a PGCE.